I have always liked pen and ink combined with watercolor. The contrast between the two can be art in itself, or the two can work together, each enhancing the other. 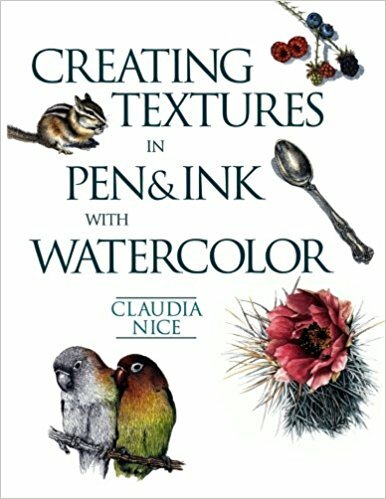 I came across this book by Claudia Nice, Creating Textures in Pen & Ink with Watercolor, quite some time ago. It’s detailed and it has some exercises with suggestions as to what to do and notes as to what she did to create the effects. Some are just ink and colors, others involve traditional “helpers” such as alcohol or salt to achieve results. Yesterday afternoon I was in an antsy mood, but didn’t want to paint in my usual splashy style, but wanted some “containment” if that makes sense. I wanted something requiring a degree of precision. Ink is always the answer there. Realism, too, is not where I wander naturally, so Nice’s work and exercises always have a magic to them. 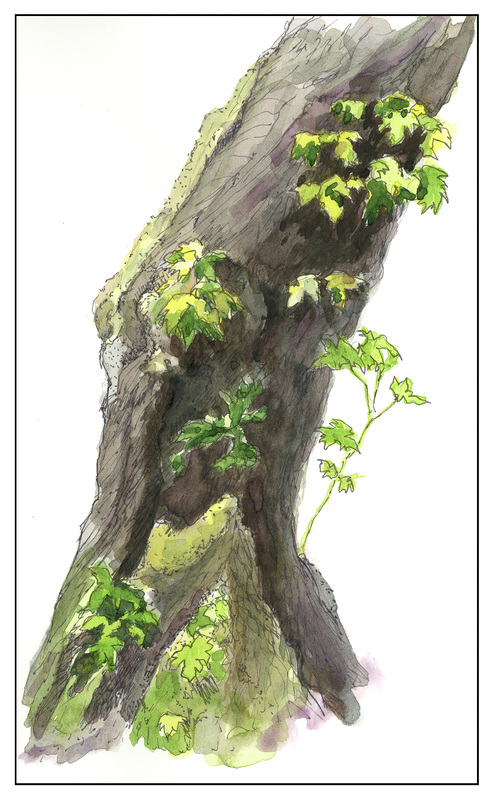 The first I chose was her “Old Broadleaf Maple” – detailed, subtle. And a tree. I love trees! This is my rendering of her example. 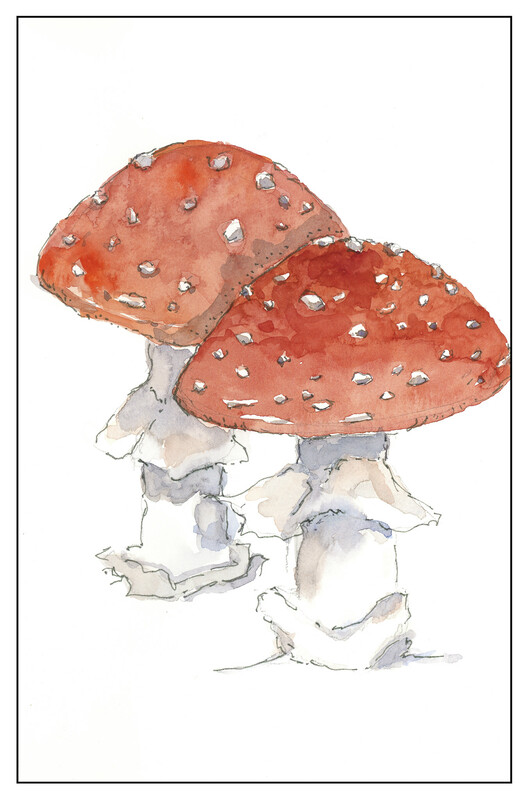 The second one I chose was a fly agaric mushroom. I have seen only one like it in my entire life – and even then I am not sure it was the same mushroom. I was hiking up in the Rockies in Colorado, up high, and came across some huge, red mushrooms, the kind you see in fairy tales. Wanting more colors than the tree, the red hues of the mushroom were perfect. The beauty of Nice’s work is that while it appears easy, if you are doing the study, you focus on the small things as well as the overarching picture. By nature, I am not detailed oriented, and for me, it is a different way of seeing and doing something. I am always pleased with the results when I take my time. The biggest challenge is to take these studies to my own world, outside the pages of the book, and look for the details on a plant or whatever, decide what to keep, what to discard, and so on. It is hard work worth every minute!